Žabovřeská Street, a section of Brno’s ring road, will undergo roadworks this summer and beyond. The Czech Road and Motorways Directorate (Ředitelství silnic a dálnic, ŘSD), the managing body of Czech roads, has now selected a contractor. The choice was discussed and approved last week by the City Council of Brno, a co-investor in this project. Photo: Žabovřeská Street today. // Credit: ŘSD. 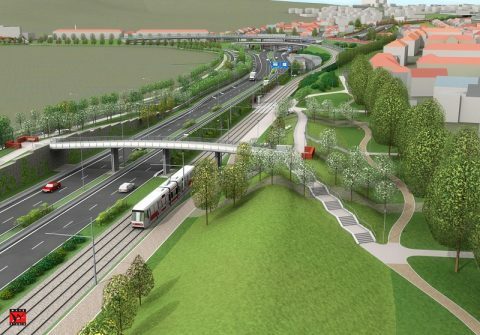 Brno, Jun 4 (BD) – “The first stage of work will include the section of road between the Kníničská junction and the Žabovřesky tramway tunnel, where an exit will be added. The roadworks will include an expansion of the existing two-lane road to four lanes, renovation of the exit ramps, renovation of an existing road bridge, and replacement and supplementation of anti-noise measures,” Mayor Petr Vokřál explained in a report on the City of Brno’s official website. “A new service road will also be built and the tram line will be revamped,” Vokřál added. Visualization of Žabovřeská Street. Credit: ŘSD. The first phase of the project will last 20 months and cost 415,822,070 Czech crowns (or 16,112,737 euros, according to XE Currency Converter: CZK to EUR, June 4), according to the City of Brno’s official website. During this first phase of construction, this section of the ring road will not be closed. Vehicles will be able to pass through the construction zone. Tram line number 1 will be reduced to one track in the affected area, and Bráfova tram stop will be moved about 150 metres towards the city centre. 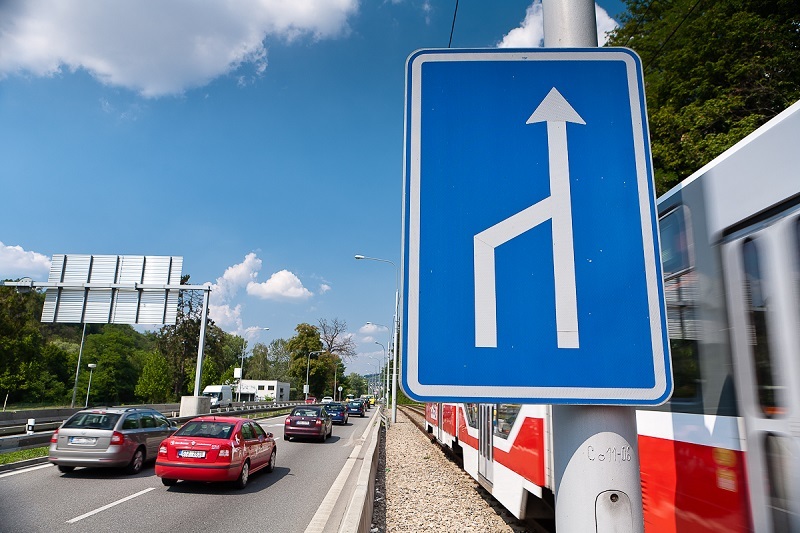 Brno’s ring road will become the most important element of its transport system. It is projected to be completed around the year 2035. The network of roads will form a ring through the districts encircling the city centre. It will enable smooth traffic flow from one side of the city to the other and alleviate the unbearable traffic load on many of the main streets in the centre of Brno. Brno’s ring road. Number of vehicles in 24 hours in 2010 compared to the forecasted situation in 2035. Image credit: ŘSD.